I have been working with clay for most of my life…and strangely as I get older I find I am increasingly simplifying the process. To me the best pots emerge after they have progressed through the making process with the least thought and planning, and they emerge from the kiln with a quality, that I like to think, Bernard Leach called 'life'. I have been making large jars for over 20 years now. Fortunately, the locally sourced materials I use lend themselves perfectly to my needs. The white Nuka-type glaze [Oak Ash] is reminiscent of the sea spray and mists that appear on the coast. The Wheat Straw glaze, Ochres and Irons are reminders of "workings" leaching out of cracks in cliff faces, the ebbing of tides, sand on the beaches and moss and lichen growing up in the pure air of Cornwall. Born in 1950, Peter began working in potteries from 1967 in between travelling to various parts of the world and absorbing different cultures. 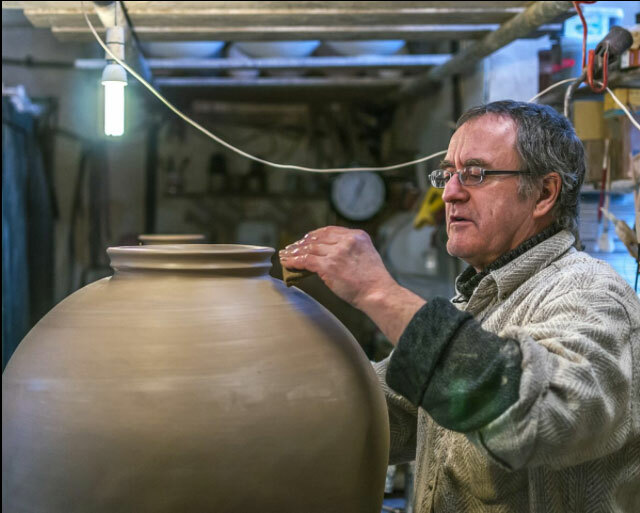 In 1974, Peter moved to St. Ives, Cornwall helping his family establish a pottery on the Penbeagle Estate. 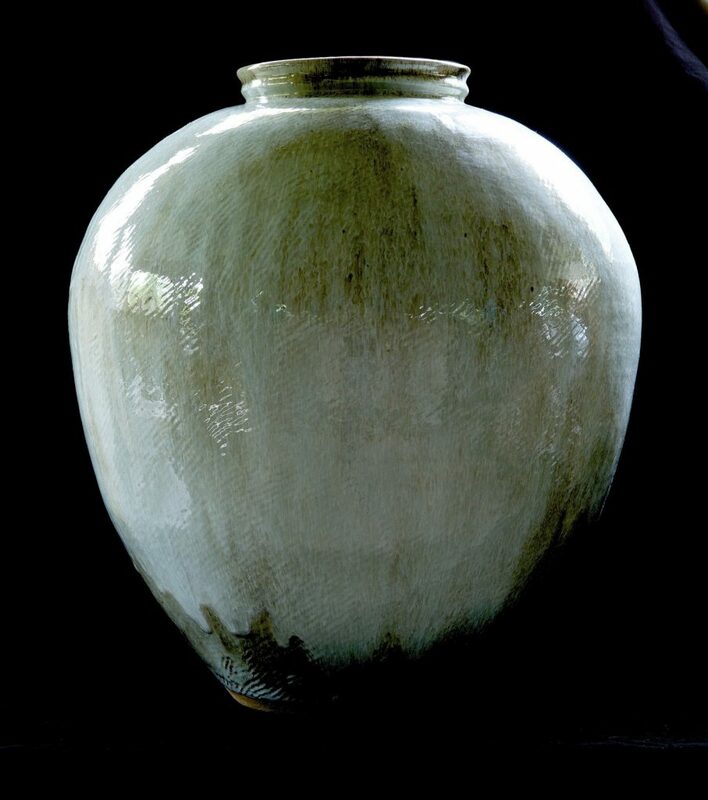 Self-taught, he established his own pottery in 1976 working in earthenware. Over the years, his method of working has evolved. 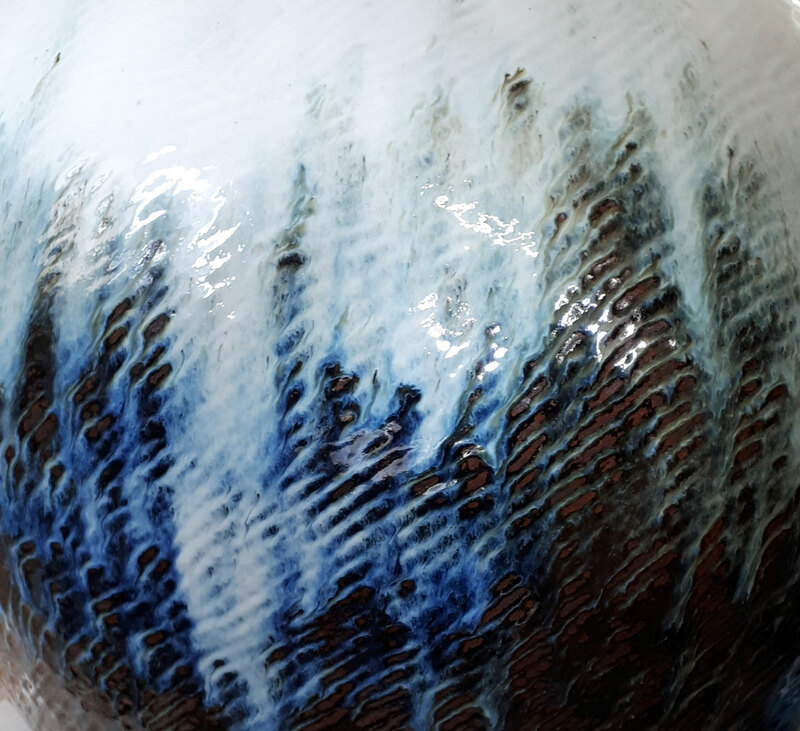 He now works in reduction-fired stoneware and porcelain, specialising in specific varieties of individual Ash Glazes. Peter uses a self-built gas-fired reduction kiln of some 36 cu.ft. for both domestic and individual pieces. 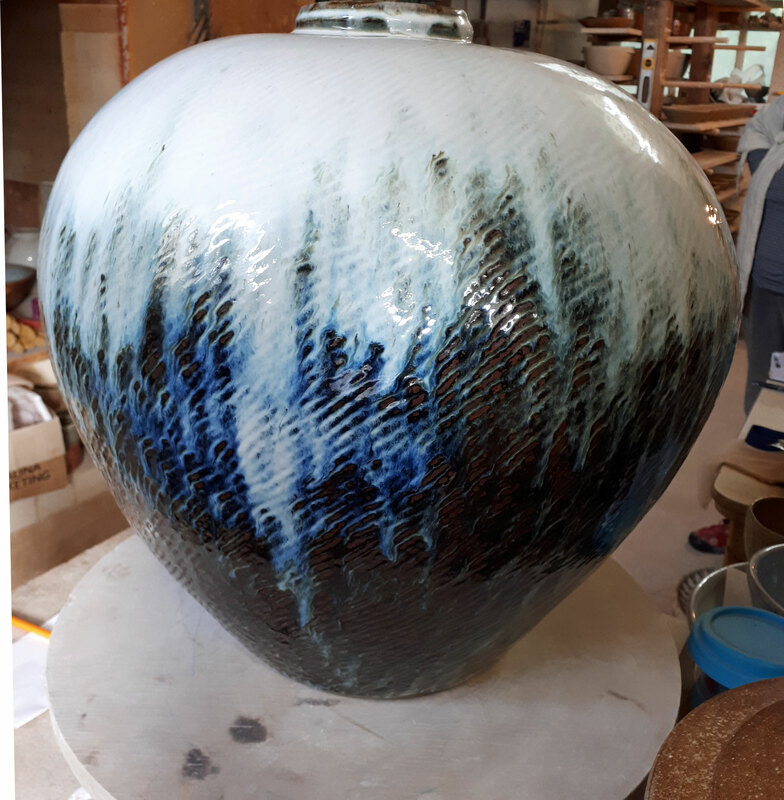 He built an Anagama kiln in 2004 which has enabled him to explore surface decoration that is not possible in the gas kiln. From 2013 to 2014, Peter was on the board of the Leach Pottery in St. Ives Having lived by Tregonning Hill for nearly 40 years, and on occasion used china Clay under the hill as an ingredient in his glazes and clay mixes, Peter recently read Edmund de Waal’s 'The White Road' and has once again been digging! It must be an age since Tregonning China Clay has been used to produce Porcelain and Peter is pleased to have produced a very fine porcelain that is both translucent, plastic and pure enough to fire at high temperatures.